Traitor bikes are the lastest fixed import from the States. The brand is owned by Kevin Menard & Kyle Young of MTB firm Transition Bikes and their mission, they tell us, was to "produce high value steel bikes with a unique style all their own." The bikes will be distributed by Windwave, who also import Colnago, FSA and Vision products among others. The range totals six bikes, all but two of which are single geared but there's plenty of variety. There's the Ringleader, Traitor's traditonal fixed bike, and the Luggernaut, a slightly more versatile singlespeed with braze-ons and a more relaxed geometry. 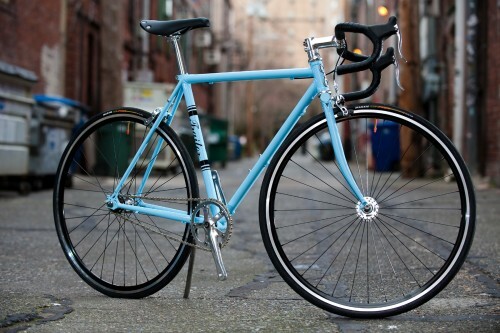 The Ruben (named after the shop dog) is the most utility oriented machine, with discs and a nine-speed transmission. The Exile is a classic lugged steel road iron, sporting 105 and a rather nice straight blade fork, while the crusade singlespeed 'cross bike is made for the wild places. That just leaves the Streetfighter, which Traitor have christened a 650BMX - it's a rugged urban machine based around 650B wheels. Peter Nisbet, Managing Director of Windwave, says of the bikes, “I am very excited about taking on the distribution of this urban brand. This takes our company into a new market segment with massive potential as more and more people are using bikes for commuting and recreation. Traitor is a cool street brand; these fantastic bikes are the product of a dedicated group of guys who build what they want to ride. The focus is on functionality, affordability and most importantly rider’s needs." 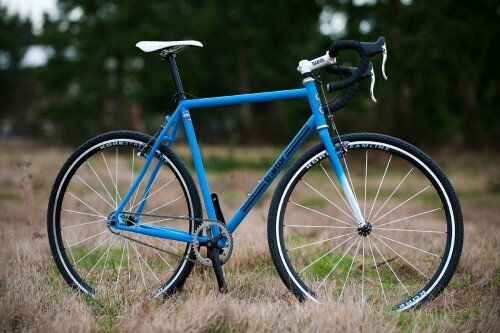 All the bikes are designed in house in Washington State and made in the Far East. Traitor are keen to point out that they "visit all the factories that produce their products several times a year and have an intimate relationship with them to ensure the quality of their products", and from the photos the bikes look well finished. The bikes will be debuting at Core Bike next week - we'll be there, so we'll have a snoop around them, kick the tyres and let you know what we think. Stay tuned!